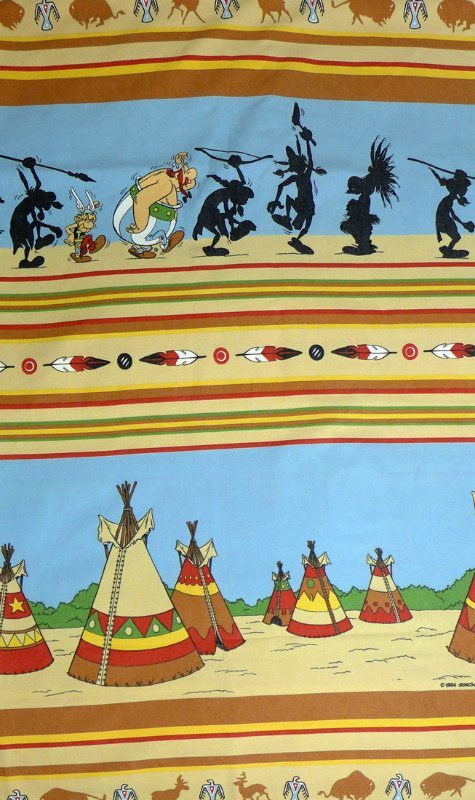 These fabric panels are a good size, measuring 88cm in length and 60cm wide. They divide well to give several different scenes and borders so you could either use them as a whole or split them for individual projects. I find the narrow borders great for edging quilts and bags. There are two slightly different designs. 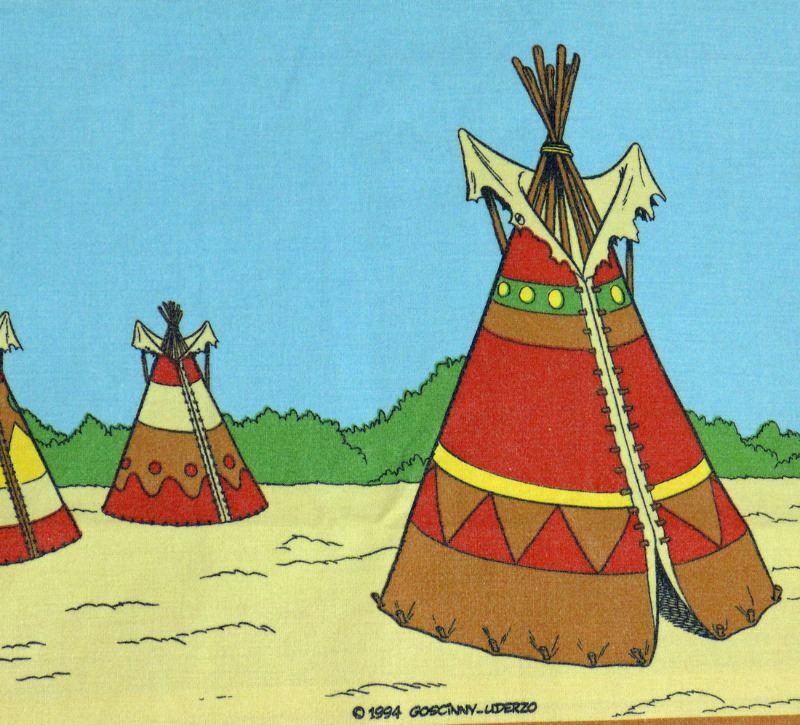 Both show Asterix and Obelix at the top and have teepees in the lower panel but the pictures are slightly different. I will send whichever one comes to hand unless you particularly request one or the other. 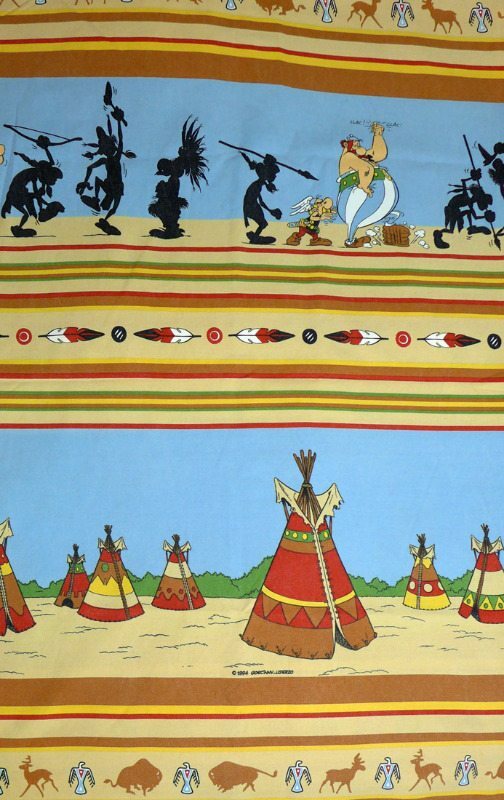 This fabric is a lightweigt cotton in excellent condition and with good, strong colours. 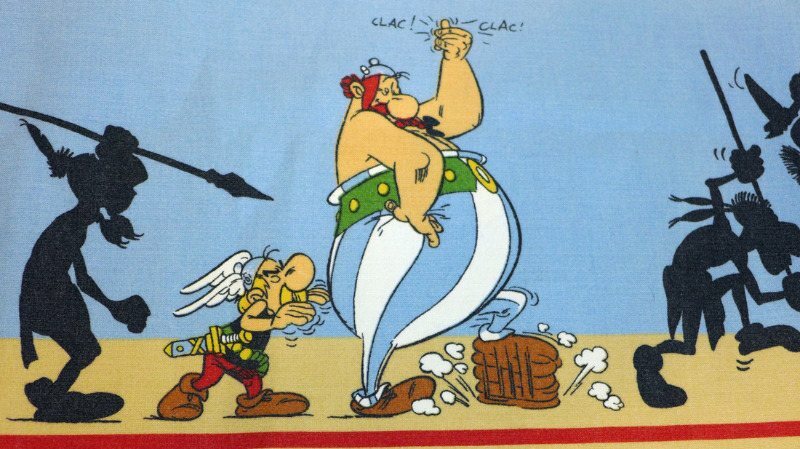 The fabric is marked with the Goscinny and Uderzo copyright and dated 1994. 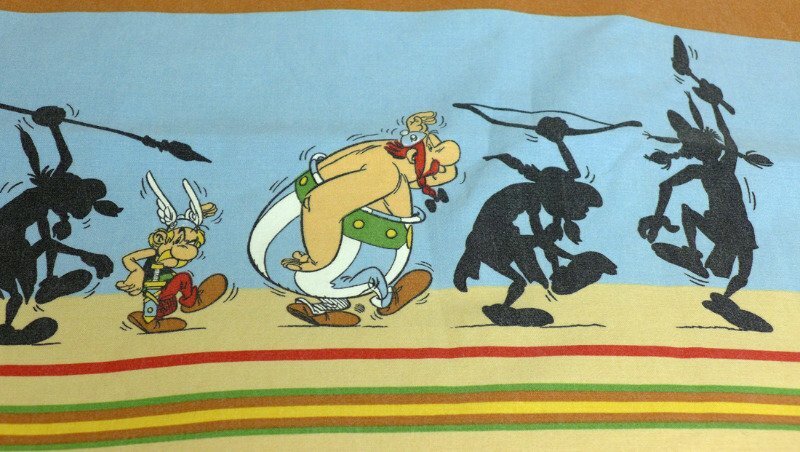 Have a look at the Asterix duvet sets in the vintage home section of the shop for more Gaulish fabric!